Recently, Hanyang University (HYU) has been offering many startup programs to encourage and help students create and run their own business. 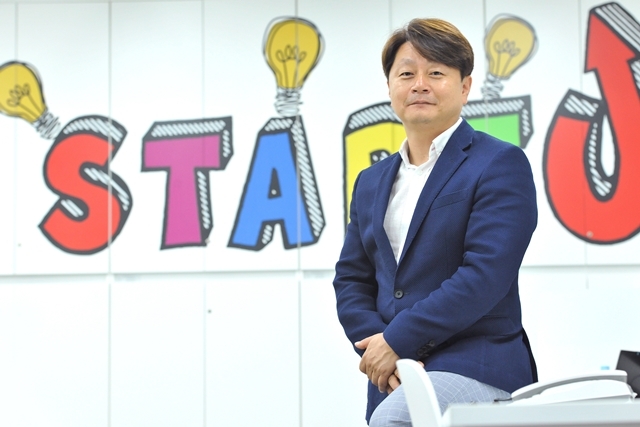 Professor Yoo Hyun-oh has been helping the ‘startup boom’ since he came to HYU this March. Professor Yoo is the founder of ‘Genic’, an 88 billion worth mask-pack manufacturing company. Now he is living his second life in HYU as a professor of the Division of Industrial Convergence. He is also the Head of the Startup Incubator Center and Global Entrepreneur Center and is also part of the HYU Startup Support Foundation. 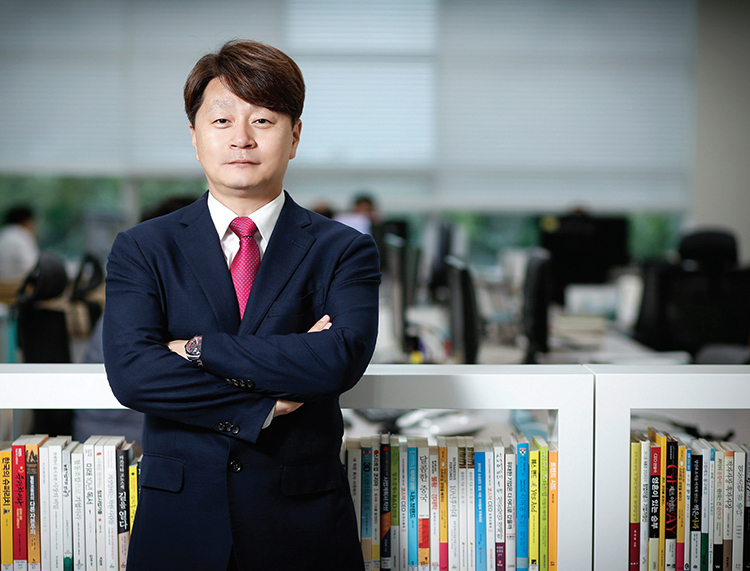 We had the opportunity to interview Professor Yoo and ask him a few questions. Q. We believe it must have been hard for you to make the decision to come to HYU. Why did you choose to come to HYU instead of having a life as a successful entrepreneur? A. I had always been interested in mentoring since I started my own company. That is why I found the ‘Genic start-up forum’, where I invited founders of successful start-up companies to open mentoring sessions. After I ‘exited’ (selling all shares), I still wanted to mentor others. HYU offered me a teaching position and I saw it as a great experience to share my know-hows to students and help them grow as successful startup founders. That’s why I came here even though I had the opportunity to take a break or start another business. Q. You have many titles in HYU. Can you briefly introduce your main role in HYU? Q. You once were a graduate student in HYU. What is the difference between then and now, in terms of general recognition of start-ups and resources? A. When I attended graduate school, the concept of ‘start-up’ did not even exist. Thus, there was not much support from the school like you can find these days. Now, even the president and the chairman of HYU are highly attentive to start-ups. HYU supports students’ startups in various ways like opening the creative startup center ‘Hanyang Startup Town’, ‘247 Startup Dorm’, ‘Idea Factory’, and so on. Q. Many students still think of startup as a risky path to take. Do you recommend any specific programs funded by the university for those who are still afraid to start up? A. I recommend ‘Hanyang Startup Academy’, a 16-week course where you can learn everything about startup. If you’re currently attending school, attending the startup academy acts as academic credits. Once you roughly get the big picture of startup through attending the academy, you can either study further in advanced classes or try starting a business right away. Of course, professors and mentors from Startup Support Center will keep advising and mentoring you through all such processes. Q. Lastly, would you leave any comment to students who are struggling with startups? A. I would advise students to try to determine if their startup item is something new. The saying, ‘don’t be afraid to fail’, which is also written on the entrance to the office of HYU Startup Support Foundation, is also the advice I would like to give to HYU students. I hope many people understand that being a student is just the right time to start your own business venture.